Looking at maps is my way of procrastinating, so I get to find the seemingly little changes going on week-to-week in the Middle Eastern conflicts in Libya, Iraq, Syria, and Yemen. Go check our most recent post on these wars that show progress by US-supported forces. Libya Dawn (Tripoli government) has broken the siege of Tripoli and is pushing back. The Tobruk government's attack is floundering. If we look to the south, we see some angry Tuaregs (who I imagine as pretty hardened mountain-fighters) have managed to capture a large swath of Libya for themselves and are challenging Tobruk's power there. I'm not sure what their goal is: maybe power-sharing, maybe independence. Other unaffiliated local groups in Bani Walid and Tawergha have taken control from Libya Dawn--I believe they're actually old Gaddafi loyalists who are uninterested in either group. 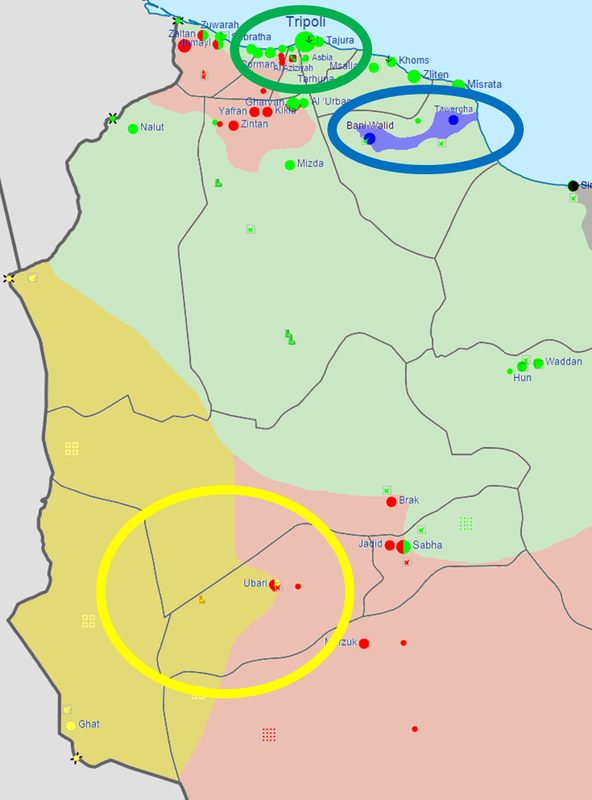 In general, we're seeing the fighting between Tripoli and Tobruk, meaning doors are left wide open in their own backyards for smaller groups to start some form of self-rule/splintering, which is going to be a recurring theme. 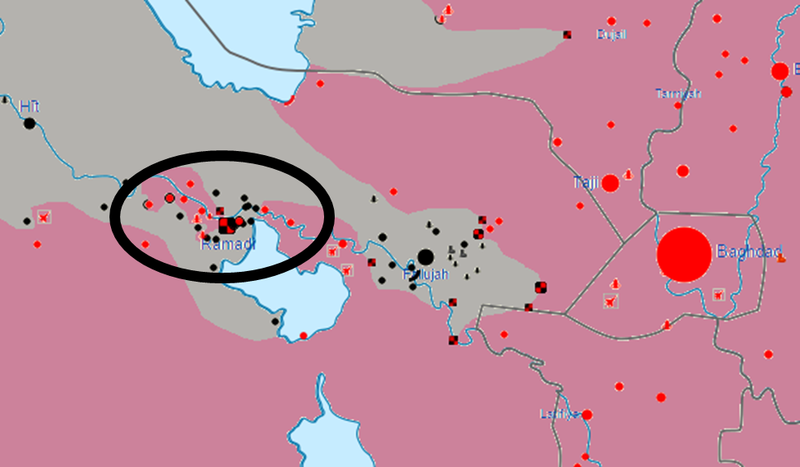 The attempt to surround Ramadi is failing right now, and I'm not sure what the heck the Iraqi forces are doing with themselves--they should be able to outnumber and overwhelm Ramadi, but it may be the case that without Shiite militias, they're going to continue to struggle. In the past weeks, they had taken some of this territory and pushed deeper into Ramadi, along with repelling ISIS counter-attacks. But the once-imminent surrounding of Ramadi has been held up at best. Let's see if Iraqi forces reinforce further to finish off the fight. If Ramadi is taken, Iraqi forces would be able to comfortably cut off Fallujah for a protracted siege. "Moderate" rebel advances in the south along the border with Israel have been pushed back. 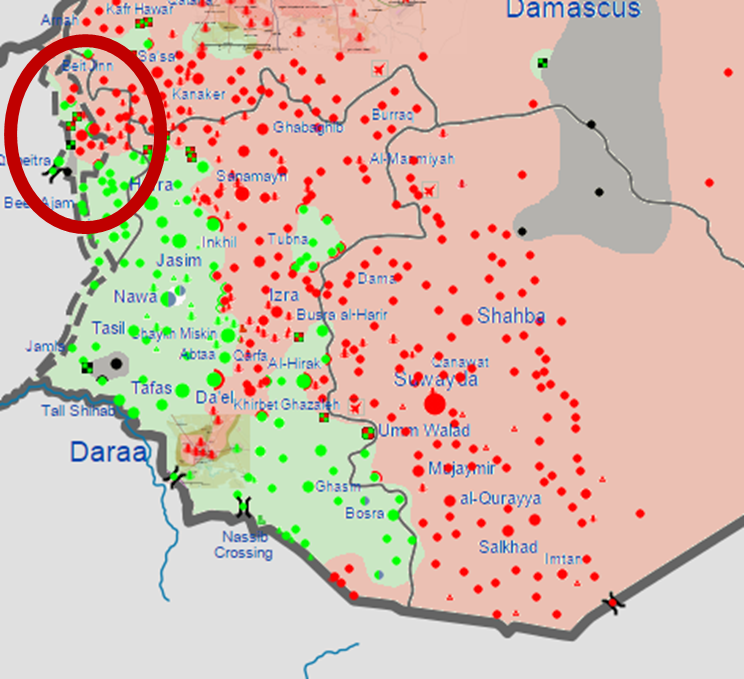 Slogging north that way would have given the rebels plausible access to Damascus that wouldn't involve taking Daraa--if they fail here, they'll be quite bottled up. Another option for the rebel forces appears to be trying to link up between Inkhil and Tubna to cut off Daraa and besiege the city, but their forces seem to be committed to the north and in Umam Walad. The Houthis have made a major counter-assault in Ma'rib and Tai'zz, taking back Tai'zz and surrounding Ma'rib. They've also pushed back in Ataq and halted the southern coastal advance by government forces. It's looking increasingly bleak for government forces. 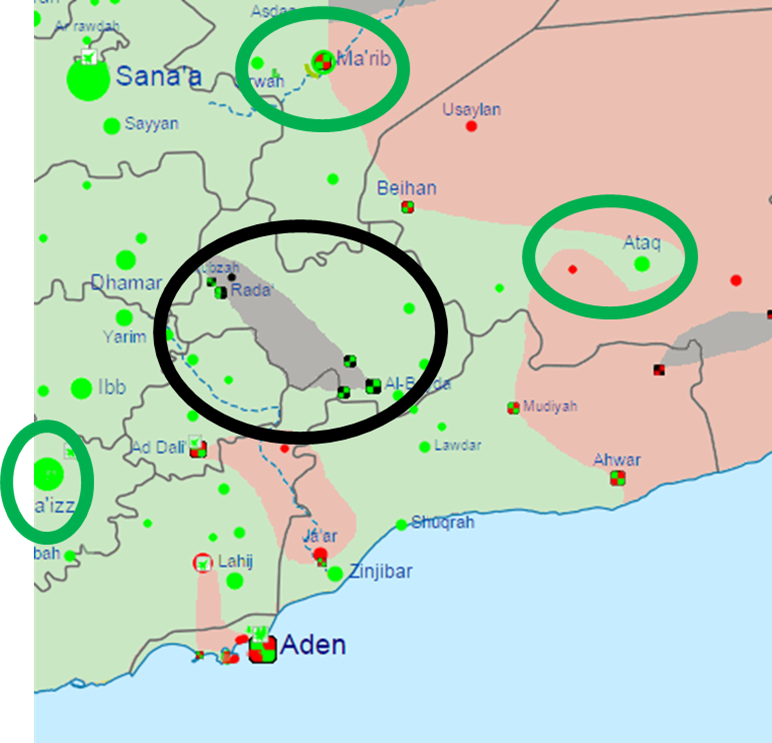 We're seeing, of course, that forces committed to red/green battle lines are allowing ISIS to make advances in ignored areas, so they've managed to pop up in the middle there, which will prove hugely frustrating (in addition to just terrible for the people of Yemen). For the sake of beating ISIS, decisiveness--one way or another--is key in these civil wars. The continuing ambiguity is going to give them space to grow.